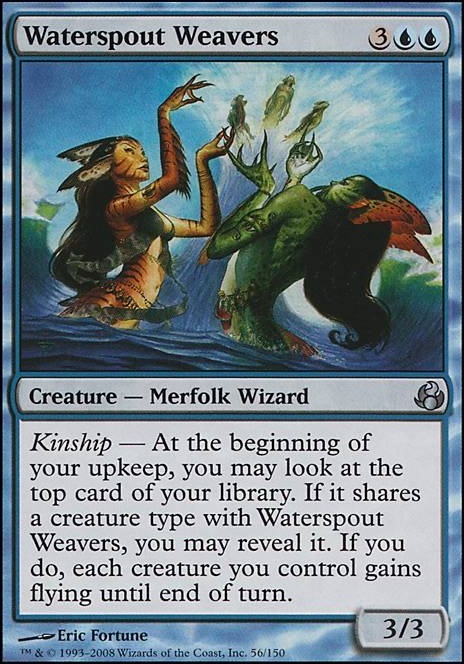 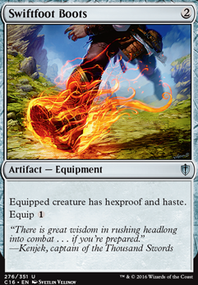 Kinship - At the beginning of your upkeep, you may look at the top card of your library. 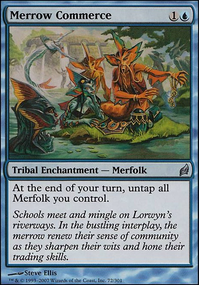 If it shares a creature type with Waterspout Weavers, you may reveal it. 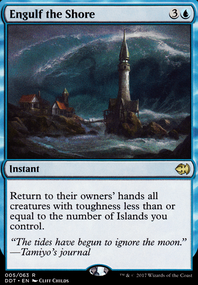 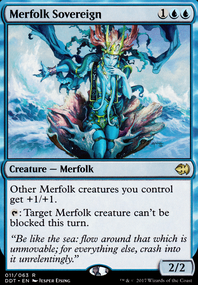 If you do, each creature you control gains flying until end of turn. 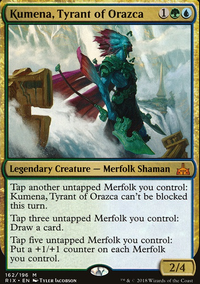 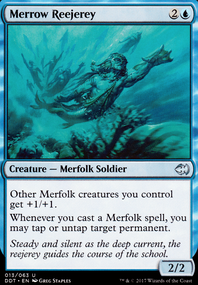 Dakra Mystic,Waterspout Weavers,Simic FluxmageDeepchannel MentorCosi's TricksterStreambed Aquitects all on the chopping block for new merfolk cards.